Got 100 lbs. to lose? Are you outgoing, charismatic and have 100 lbs. you want to lose on national TV? Then this casting call's for you. 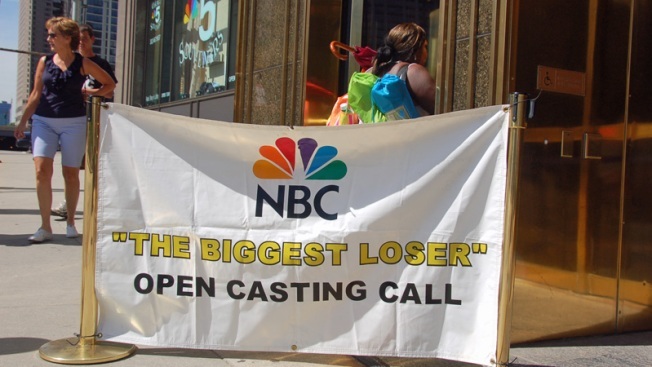 On Saturday, March 6, the casting producers of NBC's "The Biggest Loser" will come to DC to find new contestants for the next edition of the reality hit show, which will air in the fall of 2010. Individuals and teams of two who have at least 100 lbs. they'd like to shed are encouraged to apply. Don't forget to bring a completed application, your ID, a photo of yourself -- and your partner, if applying as a team -- and make sure you don't mind parting with the pic, because it's non-returnable. Can't make it in person? Get info on how to apply to the show and submit a videotape at The Biggest Loser Casting.